Hope everyone had a wonderful Christmas. Starting with the Thanksgiving Holiday this is a special time of the year to be with family and friends. Wishing everyone an exciting, happy and a Shooby-Dooby-Do-Wop wonderful New Year! Let's face it, while we might not all admit it, everybody loves lists. And when it comes to music, lists featuring - or in many cases not featuring - one's favorite artists are a must-read. For the last Newsletter of the year I've decided to add some favorite "Love Songs" from years gone by. I've updated an entry that was posted around four years ago. As the years begin to add up and health issues set in for some, I decided to look back on the article titled , "Why Friends Matter." I wondered how many had read the article and decided to do something, or do nothing. If you read it and did nothing, here's another chance, and I can tell you from experience, the follow through will warm the heart. What about friends you have never met, do they matter? Read the update below. What Else is New? The Chordettes - Lollipop & Mr. Sandman. 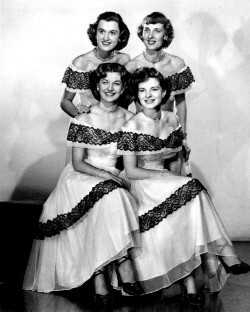 The Story of The Chordettes and their producer, Archie Bleyer, will be the first Girl Group story for the new year. The Chordettes, whose name leaves little doubt as to what they were about, were a group of friends from Sheboygan, Wisconsin and devotees of barbershop harmony tradition. The fact they were women, with a desire to master an a cappella vocal art that had been dominated by men forever, made them unique. Learn how it all began, the fabulous harmonies of these four pretty gals, and the record label romances. Look for my Chordettes story in January, 2018. Is There A Perfect Love Song? The most common topic for pop songwriters is love. But, the perfect love song is probably the most difficult to write. I recently received a list of the Top 100 love songs of all time and was asked to give my opinion. I was surprised to see only eight (8) songs on the list recorded after the year 2000. Additionally, only two of the eight made it into the top 40 love songs of all time. Is it the language that some artists favor over simple words of love that turn people off? The Top Ten was the most surprising. Five songs were from the 70s, four from the 60s and one from 80s. Not one love song listed in the top ten after 1986, a total of 31 years...That seemed really unfair. I'll list some of my favorites and show my ranking first followed by the original ranking on the list of 100 Top Love Songs. I'll add a link to the pages I have that contain the songs if you care to hear them and read the stories. The links will open in a New Window. Song listed #26 on Top 100 list. In 1992 Michael Bolton went to #1 on the pop and adult contemporary charts with his version of "When a Man Loves a Woman." Song listed at #49 on Top 100 list. Sam Cooke wrote his legendary hit "You Send Me" himself, but he gave the label credit to his brother L.C. to avoid his own publisher profiting from the song. It was part of a set of songs recorded that moved Sam Cooke from the gospel arena to mainstream pop and R&B. 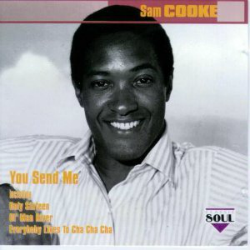 "You Send Me" was originally considered the B-side to Sam Cooke's version of "Summertime" from Porgy and Bess, but disc jockeys preferred "You Send Me." The beautiful love song went all the way to #1 on the pop chart. Song listed at #39 on Top 100 list. 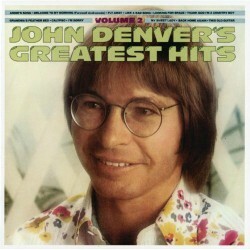 Singer-songwriter John Denver wrote "Annie's Song" as an ode to his wife Annie Martell Denver. He says that he wrote it in about 10 1/2 minutes on a ski lift to the top of the mountain in Aspen, Colorado. "Annie's Song" became a #1 smash on both pop and easy listening charts. It also hit the top 10 on the country chart. Song listed at #31 on Top 100 list. 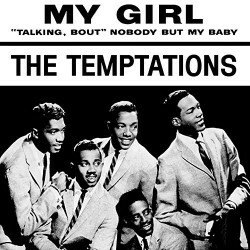 The classic "My Girl" was co-written and co-produced by Smokey Robinson and one of his fellow members of The Miracles Ronald White. It was the first single release by The Temptations to feature David Ruffin on lead vocals. The result was the first #1 pop hit by the group and it became one of their signature songs. Song is NOT listed on Top 100 love songs list. Song is NOT listed on the Top 100 love songs list. When I first decided to do a story on this beautiful love song I searched the internet for lists that contained "Love Songs" or "Wedding Songs." The result was ZERO for both lists. 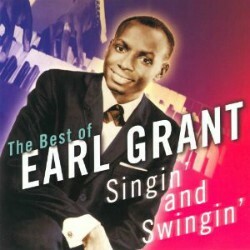 I was determined to give Earl Grant's song a new life. Listed at #28 on Top 100 All Time Love songs. How is it possible to have a song ranked #28 on your Best All Time love songs list knowing the song reached #1 in three different decades by two different artists? The song "I Will Always Love You" was originally written and recorded by Dolly Parton in 1974 for her album Jolene. She wrote it about the professional split with fellow country performer Porter Wagoner. Released as a single, it went to #1 on the country chart. She then re-recorded the song for inclusion on the soundtrack to the 1982 film Best Little Whorehouse In Texas. The song went back to #1 on the country chart. 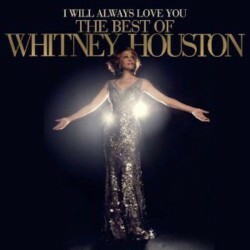 Song is #4 on Best All Time Top 100 Love song list. Billy Joel wrote "Just the Way You Are" for his first wife Elizabeth. 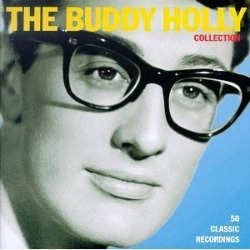 It became his first top 10 pop hit and a major breakthrough. The song climbed to #3 on the Billboard Hot 100 and topped the adult contemporary chart. It won Grammy Awards for Record and Song of Year. 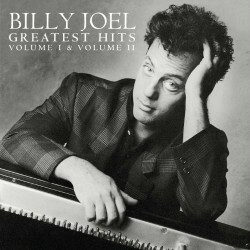 It is my very favorite song by Billy Joel and the perfect lyrics is all about your friend and lover....your wife. Watch Joel perform the song live. Song is #7 on All Time Best Love Songs list. 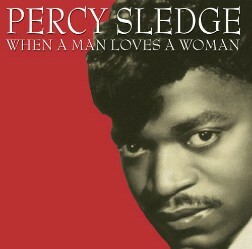 This song has a long and fascinating history beginning with its use as a theme from a prison movie Unchained in 1955. In 1955 it hit the US top 10 in three different versions by Les Baxter, Roy Hamilton, and Al Hibbler. The latter two went to #1 on the R&B chart. 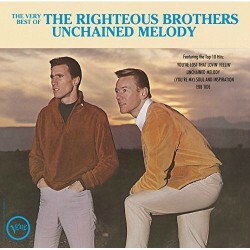 In 1965 blue-eyed soul duo the Righteous Brothers released the most enduring version and it peaked at #4 on the pop singles chart. However, when included in the hit movie Ghost in 1990, their recording returned to the pop charts in both the original form and new re-recorded version. Through the years I continue to believe that old friends remain my most cherished and trusted link to all those wonderful memories from the past. This past August I got another opportunity to step back in time while attending our High School reunion and revisit with some of those friends, most of whom I had not seen since graduation day, 1962. Many did not attend for whatever reason, and sadly, many have died. After returning home my thoughts turned to an article I received four years ago from my classmate buddies, Johnny (Old JW) and Butch. The article was related to a topic about what people regret the most when they have gone home to die and have maybe three to twelve weeks remaining. I was curious about the article because the nurse that remained with these individuals was able to determine over time, the five regrets people make on their deathbed. The Nurse, Bronnie Ware, said that people grow a lot when they are faced with their own mortality. When questioned about any regrets they had or anything they would do differently, common themes surfaced again and again. Nurse Bronnie listed the most common five: I skimmed the list and #4 drew my immediate attention to read further. The Nurse said often they would not truly realize the full benefits of old friends until their dying weeks and it was not always possible to track them down. Many had become so caught up in their own lives that they had let golden friendships slip by over the years. There were many deep regrets about not giving friendships the time and effort that they deserved. Everyone misses their friends when they are dying. It is common for anyone in a busy lifestyle to let friendships slip. But when you are faced with your approaching death, the physical details of life fall away. People do want to get their financial affairs in order if possible. But it is not money or status that holds the true importance for them. They want to get things in order more for the benefit of those they love. Usually though, they are too ill and weary to ever manage this task. It all comes down to love and relationships in the end. That is all that remains in the final weeks, love and relationships. What about friends you have never met? What about friends you have never met? Is there such a person and should they be called a friend if you never actually met them? When I began my vinyl record memories website several years ago I did so , not only to write about the music I enjoyed growing up with in the 50s, 60s and 70s, but also to write about all those wonderful times I enjoyed growing up with my friends. And then something nice happened. People I had never met began to write and thank me for creating a site they could relate to with stories about the artists and songs they also grew up with. It made them feel good. Some told me the articles and stories reminded them of the fun times growing up with friends in their old neighborhoods. I care about all those who write to me, but there are some who continue to stay in touch (via phone or email). These are friends I have never met in person but I feel as if they could have grown up with me in my neighborhood. 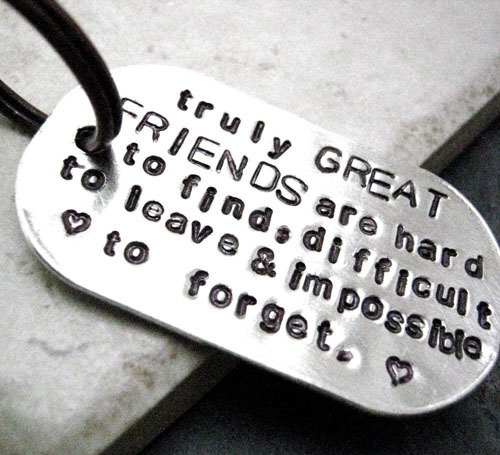 Here are a few special people I choose to call my friends. Bill Moore - Bill and I have been in contact since around 2012. He's retired now but still maintains a small band and plays for Vets and Seniors. I've heard him sing...He is talented. Sent me some videos of recordings he did at Sun studios. He's given me oldies ideas for my site. Did a Frank Sinatra routine with the Carnival Cruise Lines “Legends” Show that he closed in Jan 2012. Thank you, Bill, for your ideas and help. 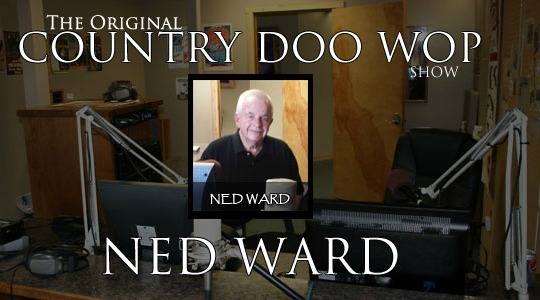 Ned Ward - Ned is my DJ music friend providing great music with his Country Doo-Wop show on KITCFM radio every Monday at 10AM. I listen to Ned's show for music ideas and help whenever I get stuck on an oldie I have not heard. His dad sold millions of records back in the 30s and 40s and played with Gene Autry in the Western Movies. Ned is always ready to help if I have a music question. He is a caring individual and I enjoy our long distance friendship. Paul Giacalone - Paul's dad (Paul Giacalone sr) wrote the song "You Were Mine" and was a member of The Fireflies when they recorded the hit in 1959. Paul contacted me about some wrong information I had about his dad's band members. He gave me his number, I called him, and he sent me information for my webpage no one else had. Paul appreciated the correction on the page and I was able to make it better because of the Giacalone family. There are other oldies groups who contact me to help with added information for my site. The oldies groups are fading fast and family members who have helped me appreciate their family's music stories are kept alive for everyone.